Piotr’s Literal Polish Bible Translation is Available for Download! “If we don’t start now, we will have nothing in 30 years.” The statement came from a Polish theology student as he spoke with ITMI’s founder, Bill Bathman during one of his visits to Poland. The student was ITMI’s Piotr Zaremba. It was ironic that he chose 30 as the number of years to insert in that sentence. Dear Team: Was Piotr’s New Translation Really Necessary? Who can you trust now days? The news stations with regularity manipulate headlines, both conservative and liberal stations, to get us to watch their brand with over-charged and exaggerated statements that almost always more closely resemble their flavor of truth than real unbiased reality. 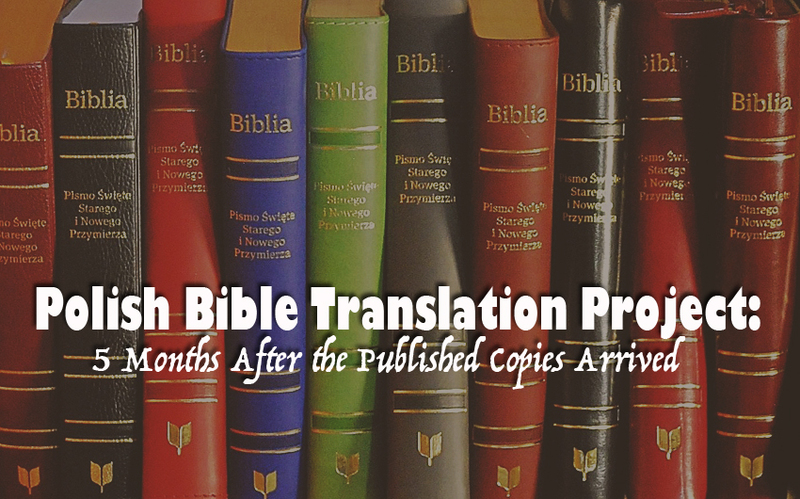 After 16 years of translating, ITMI’s Dr. Piotr Zaremba opens a box of his PRINTED whole Bible translation! It was a moment YOU made possible, so we had to share it!